Planning an event in another country, especially Israel, is no piece of cake. There are so many potential logistical nightmares that the whole prospect could have your head spinning rather quickly. One of the biggest choices is whether to use an event planner in your home country or in Israel because s/he will be responsible for every detail that determines the success of your wedding, bar/bat mitzvah, corporate event or any other occasion. If you decide to use an event planner in Israel, then on the one hand, you can rest assured that they have good connections, know how to deal with vendors and event venues and, in general, get things done in a very different culture without wasting your time and money. However, at the same time, you have to worry about communicating with somebody you may only be able to meet once or twice in person, if you’re lucky, who lives in a different time zone and comes from a different culture. Going with an event planner close to home means you’ll probably get to meet him/her and be in constant contact during normal hours, but unless the event planner has extensive experience and a staff or partner in Israel, you have to worry about whether they can cope well enough with a landscape that’s very different from the U.S., UK, Australia or really anywhere outside the Middle East to get your event organized on time and to your specifications without going over budget. In the end, it’s a personal decision that you have to make based on your own needs, but we asked local and foreign event planners to weigh in on the subject to paint you a picture of what a planner for your event in Israel must be able to do and what they think about going local versus using somebody close to home. Planning an event remotely from one country to another could get tricky and complicated. There are so many options for events in our small and amazing country – with many venues and suppliers available (photographers, designers, caterers etc. ), you could get lost very easily (even locals need help sorting everything out). 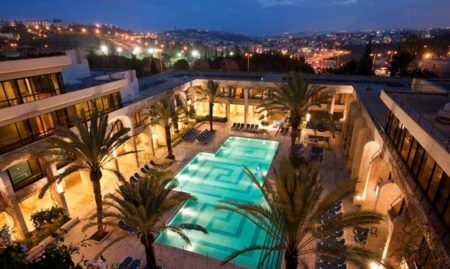 We definitely agree that familiarity with how business works in Israel and communication are the most important things to consider when choosing an event planner anywhere, and you should try to find somebody that fulfills all your needs, from speaking your language to getting you the best prices and service from vendors and event venues. For this reason we employ an experienced, multilingual staff to make sure our clients are getting the best service possible from every angle. As an independent planner and consultant that deals personally with every client and every aspect of their event, I think the most important quality you’re looking for in any event planner is communication. You should be able to feel like your event planner could be one of your best friends. If you can establish this level of open communication, then you can rest assured that your event planner understands your wants and needs, your tastes and the little things that are important to you. The most important quality to have for planning an event in Israel is knowledge of the “terrain” — the vendors and professionals that have to be dealt with in order to produce a fantastic event from thousands of miles away. 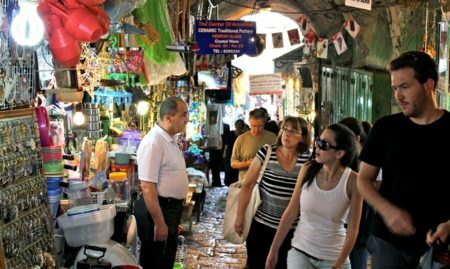 Dealing with vendors in Israel is extremely different” than in Western countries. On the one hand, they are more relaxed (e.g. “Don’t worry! Everything will be fine!”), and yet extremely stubborn on the other (e.g “That’s the way we do it here and it can’t be done any other way!). Of course, you also have to take into account what’s important to you and how much work you want to do yourself. Different event planners offer different services. Some party planners solely coordinate logistics while others — like Penny and Co. Events — offer in-house custom décor and design, creating a full package and simplifying the process for the client. Go Local or Stay Close to Home? Ideally, you should work with a firm that can provide someone in your home country to help with the pre-event planning and somebody on the ground in Israel for local knowledge and execution. And that is the model we’ve adopted at Penny & Co. Events. We have planners in both countries in order to assure every client that making their event in Israel will be a seamless planning experience that allows them to enjoy the process without the stress. When I first started doing events, I actually use to work with local planners in my clients’ home countries because I thought that somebody nearby would be able to communicate better and faster with them. But with experience, I learned that clients are basically describing their dreams, and they need to have a direct line with the person who is on the ground, taking care of all the details that make the dream a reality. For the event planner, that means adjusting to the client’s schedule, but that is just part of the job. So while I think it’s possible to plan a nice event from outside the country, if you want the best result possible, the event of your dreams, then you need somebody taking care of all the details in person, on location. We definitely recommend going with an event planner based in Israel because details are so important when it comes to planning an event and making sure it goes smoothly. Using somebody in Israel will make it easier to pay attention to all the little details involved in planning events that could be difficult or may even get forgotten with all of the other arrangements if you aren’t physically there. Likewise, local event planners are simply going to have an easier time dealing with vendors. In our case, we have been in the business for many years, so we have close relationships with many vendors that, in the end, helps provide a better experience for our clients. Don’t try to do it all yourself. When folks outside of Israel come so far to celebrate, their expectations, understandably, are that their event runs smoothly and looks magnificent yet they have no idea what it takes to accomplish that goal. A qualified and experienced planner is the perfect professional to make sure your event is executed in the manner to which they are accustomed without having to deal with unfamiliar vendors. A case in point is when a friend of mine decided not to hire a planner when she made her son’s bar mitzvah in Israel and felt she could handle it all herself. All her guests were hosted at a top tier hotel in Jerusalem, and she ordered hospitality baskets remotely for every guest room and sent the catering manager the list of rooms. She requested and expected them to be delivered to each room before Shabbat. She never saw a completed sample basket but thought they would look elegant based on what she described to this vendor. The person she was in contact with assured her that she understood exactly what she wanted. However when the day came, the baskets were not at all to her standards and worse, they never appeared in any of her guest rooms before Shabbat! When she asked the manager what happened, the answer was “you have to pay extra for that service!” it was the first time she’d heard of this. I highly recommend using an event planner based in Israel, but if you are going to use an event planner from your home country, then you should make sure that they are as dedicated to making your event a success as you are. That means they should be traveling to Israel for the days leading up to and of your event and make one or more trips during the planning process to coordinate things in person. Israel is very different from other countries, so you should always make sure you feel completely comfortable with your event planner in every aspect of your interactions — from language and communication to how they treat you. Cohen-Gershkovits Productions is a full-service event planning agency based in Jerusalem. With several decades of combined experience in planning events in Israel, founders Yaniv Cohen, Ruben Gershkovits and their knowledgeable, multilingual staff provide pride themselves on guiding their clients through the planning process with warm and friendly service. Batya Heller is an independent event planner and consultant based in Jerusalem with a tremendous amount of experience planning events in Israel for clients from abroad, including the United States and the United Kingdom. She takes a personal approach to every client and event, keeping an open line of communication throughout the planning process to ensure that every celebration exceeds expectations. Penny & Co. Events (formerly “Save the Day Events”) has been in the business of creating and producing exquisite events — from bar/bat mitzvahs and weddings to corporate events — in the United States for 23 years and in Israel for the past 6 years. The company specializes in designing creative, one-of-a-kind celebrations where no detail is overlooked and employs associates in both the U.S. and in Israel, simplifying the planning process and assuring that their clients will be able to arrive in Israel as a guest at their own turnkey events and leave all the details to Penny & Co.